We take data protection seriously. I am happy to receive communication via email and understand I can unsubscribe at any time. If you're looking to save money, waste less and eat better this cookbook is for you! I wrote this whilst living on a tiny income and it's packed full of mouth-watering recipes, mealplans and shopping lists which are very easy to follow. I spent 2 years crafting my first cookbook, and it's dedicated to anyone living on a low-income or facing food poverty. To help more people, I've decided to offer it free for those who need it. If you know someone who would like to eat well on a small budget, please share this cookbook with them. Together we can make great food achievable for everybody! Our cookbook contains over 60 budget specific recipes, a sample price-checked meal plan, 100's of useful tips and a really clever Swappable Ingredient section for each recipe. So if you don't have an ingredient you can simply swap it for one of our suggestions and it will still taste delicious. Oh, and the weekly food budget? It's about £18.00 per person, (approx. £O.87p per meal). Wooohooo we've now gifted over 75k cookbooks to people living on a low-income and looking to eat mouth-watering meals each week! We've still got big ambitions and want to get the cookbook into the hands of every low income individual and family across the UK. We want to work with charities to bring this cookbook to communities across the country. Can you help? If you work for or can suggest an organisation that might want to support us, please get in touch. + Is this mealplan really, truly free? Yes, for the moment it's on a contribute what you can basis, or free if you need it... We want to give people the knowledge to cook a variety of healthy and delicious meals without worrying about money. So as long as you credit our work and don't profit from distributing it, it's all yours. As well as being a social giving project, here's something good. Each time someone downloads the free mealplan we will ask them to send a copy to a friend first, absolutely free. Call it our positive bullying policy. Yes, it really can be done on under £1.00 per meal. Simply use our price-checked shopping list and spend as little as £18.00 per person per week. Then follow our easy recipe plan to make delicious daily food at a cost of under £1.00 per meal*. *The costings are based on our four week mealplan for two people, where we divided the total spend each week. Please remember, this is a flexible guide to eating better, saving money and wasting less. It's not a race to the bottom, and not a race to spend the least. Food prices will change according to seasonality, demand and other global influences. + We're talking meat though, right? We're from the UK, and you're from .......somewhere else. Yes, it can help you, and thanks to the internet we can share our recipes and principles with a wide audience. Whilst the ingredients may vary from country to country, the approach to shopping and cooking will remain the same. It's totally flexible, and with the Swappable Ingredients section, you can tweak our recipes to suit the availability of ingredients in your neighbourhood. + When is the print version coming out? 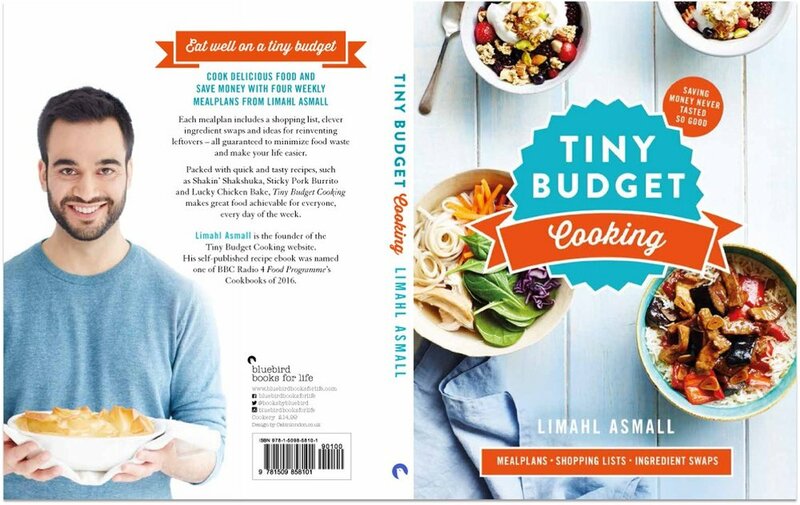 You're in for a treat because we've been working with a publisher to produce a 100% new cookbook called Tiny Budget Cooking - and the good news is it's available to buy now. Yes, this one's for sale but if you want to support us, and recieve a beautiful, full production print book to keep forever, you'll love this! 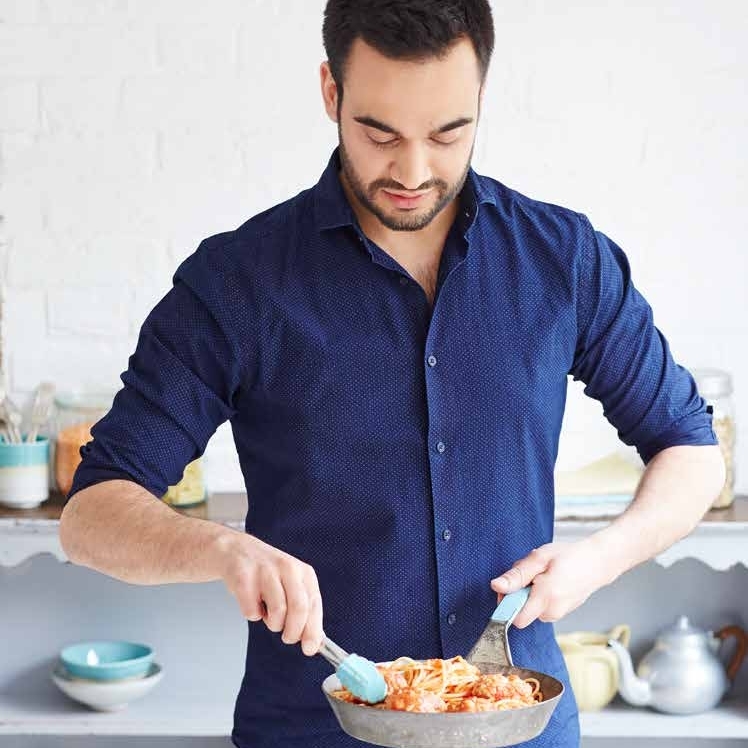 Plus the new book and will pay for itself in no time and it contains 100 new recipes, 4 stand-alone weekly mealplans, dedicated shopping lists, as well as the usual swappable ingredient secton to personalise recipes. It's a fantastic book (if we say so ourselves) and you can purchase it from all good bookstores and online from Amazon. As above, the recipes can be tweaked to suit your dietary requirements. Lim was a vegetarian for 19 years and so tries to cater for you too. There are plenty of veggie recipes, and where possible we suggest how to adapt a recipe to make it meat free. There are no gluten/dairy free options yet, but if you shout loud enough it just might happen. Of course you may! Sharing is caring, so feel free to print off recipes for personal, family and community use. Our intentions are to get these mealplans into the hands of everyone who needs it, whether on a low income or just learning to cook. If you can help us, please do. Spread the word, tell you friends, family, neighbours, hairdressers, colleagues, cat.